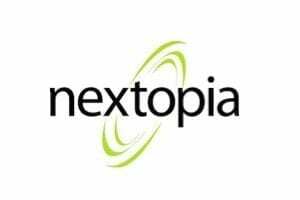 Larger companies can typically hire or retain competent assistance to help with search engine optimization. 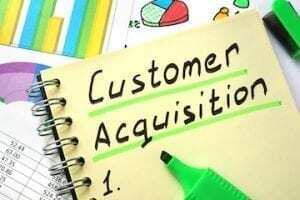 But smaller businesses often have to do it themselves, especially when those businesses are new. 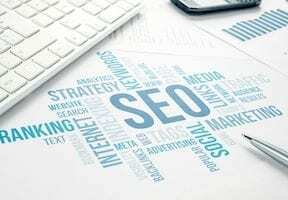 In this post, I will share 10 do-it-yourself tips to optimize organic traffic from search engines. 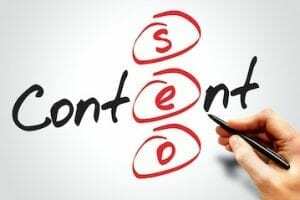 The tips have the added benefit of helping smaller businesses understand SEO now to make intelligent hiring decisions later. To help explain, I’ll use a hypothetical example of launching a business that rents tiny houses nationwide. 1. Start with a compelling product or service. Having searched on Google, I know there are sites already offering tiny houses for rent. Our first task is to study them to find a competitive differentiator. Searching on Google shows that there are already sites offering tiny houses for rent. Using Google Trends, we can confirm that this is a growing opportunity. The search term “tiny houses for rent” is becoming more popular. We can see where most searches come from: North Carolina, Georgia, Texas, Florida, and Washington. 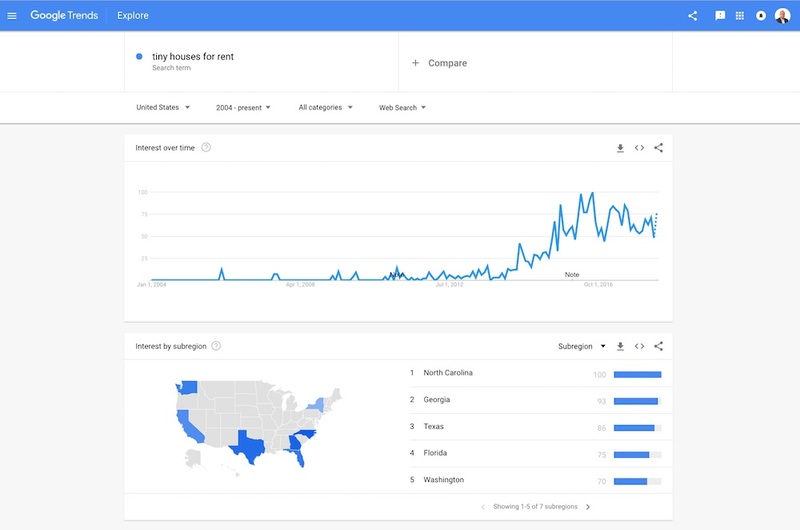 Using Google Trends, we can confirm that the search term “tiny houses for rent” is becoming more popular. I checked the competing sites to see if they had inventory for those states. They do. However, there are many popular vacation destinations. Thus our strategy could be to find other places where consumers want to go where competitors have no rentals. There is likely overlap between tiny houses and recreational vehicles. Consumers that are interested in one could be interested in the other. 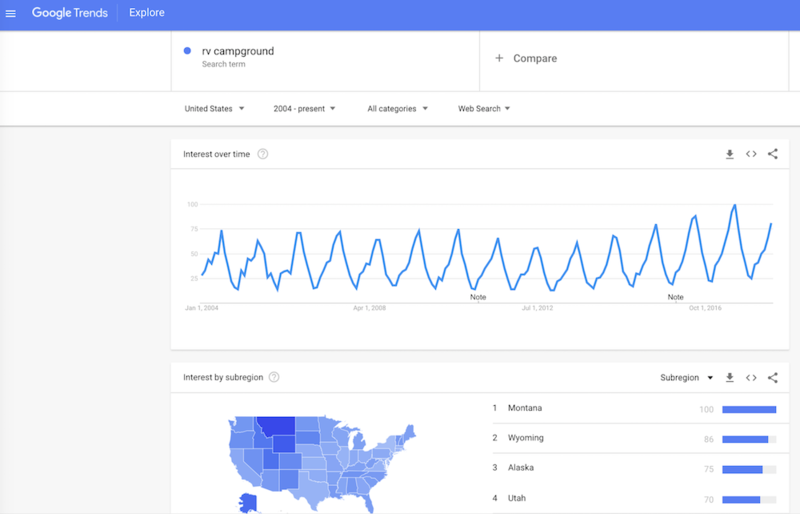 (An RV is often called “a tiny house with wheels.”) Thus we can use Google Trends to determine the states where searchers are interested in finding RV campgrounds. Using this technique, I again checked the competitors. Only one site, below, listed a tiny-house rental in Montana. Just one competitor listed a tiny-house rental in Montana. Thus by creating listing pages with more offerings than competitors — tiny houses for rent in Montana in this case — we stand a chance to rank. We are capturing excess demand that competitors do not satisfy. 2. Focus on one audience. Most sites, including our top competitor for tiny houses for rent, target all consumers. Their messaging is typically generic. But in our case, we will carefully choose our target audience. We could choose single people, young couples with no kids, families with kids, older families, and so on. The advantage of targeting one group is that we can focus all our content — descriptions, images, pricing — to those prospects. Say our target group is backpackers. Backpackers travel more than other consumers, and they generally visit multiple places during each trip. So, we could offer rental packages that include many locations. Another advantage of this target audience is that we can research the places they like to visit and make sure we have tiny home rentals nearby. We can also ensure the tiny homes we offer are properly equipped for backpackers. 3. Offer a first-rate experience at a reasonable price. Backpackers are cost conscious. Thus we want to make sure our website provides attractive pricing. We also need the site to be extremely mobile friendly as backpackers will likely access it while on the go. 4. Verify demand with Google Ads. So far we have only educated guesses about the potential of the business. Before we invest more time and money, it is important to validate our assumptions. We can do that easily with Google ads on its search results. We can study competitor ads and create ours to highlight our key value proposition (as discussed in the first tip). Instead of targeting everyone searching for tiny houses for rent, we will narrow our focus to backpackers. We can use demographic targeting for this. Google will display our ads only to that demographic group and send visitors within minutes of the ads’ launch. We should A/B test different messages in our ads to emphasize price, convenience, cleanliness, and other features and with different keyword combinations. Google will rotate them and tell us which work the best. 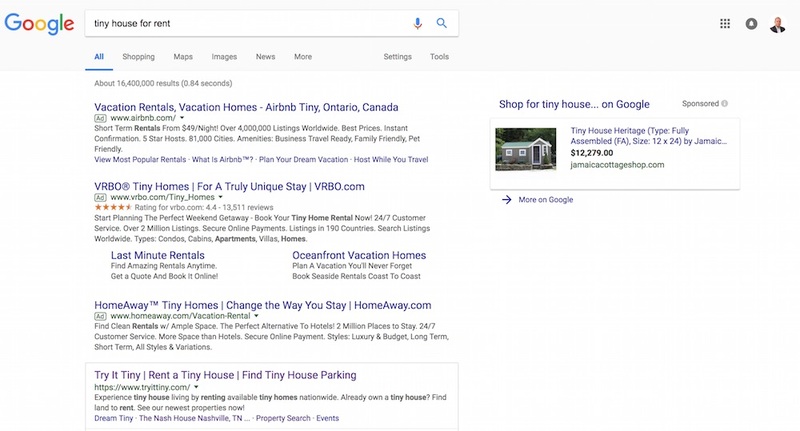 Verifying and testing our tiny-home-rental idea with Google ads greatly helps with organic search efforts. 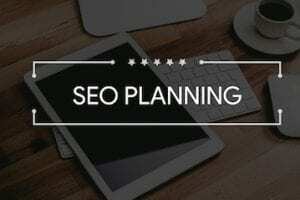 It provides us with keywords, messaging in search snippets, and target demographics — which we can track in Google Analytics. 5. Build social proof. From our paid search campaign, we should have renters that we can solicit for reviews and feedback about their experience. As incentives for honest reviews, we can offer discounts on future stays. Video reviews are likely the most helpful for potential new renters. Each review increases trust. 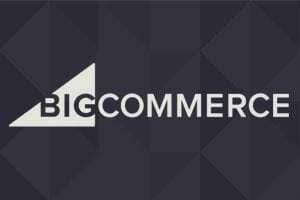 It adds user-generated content to the site, which could help with search rankings. Plus we can use structured data for rich snippets in the search results, which will increase clicks. 6. Leverage customer-service queries. As we obtain renters, we presumably will field customer support emails and calls. If we make them public on the site, they become valuable content for SEO. Moreover, the next time another prospect asks the same question, we can send him to the previous answer and encourage him to share it on his social networks. 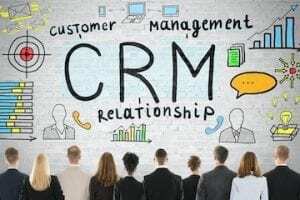 There are inexpensive customer support platforms that offer this capability. But, more importantly, prospects could ask the same questions in a Google search box and come directly to our site since we’ve published the answers there. 7. Optimize page resources. 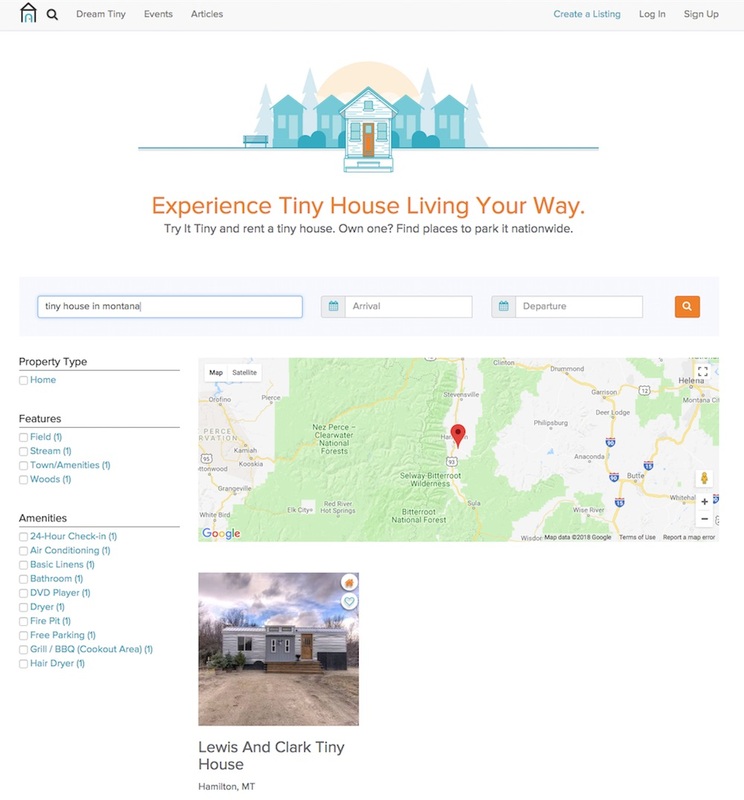 We include images and videos of each tiny house rental listing. Google doesn’t just rank web pages. We can also get decent traffic if our images and videos rank and get clicked on. They can rank in image and video searches and when Google blends them with regular web results. For each image, we will make sure to have descriptive file names, image alt texts, and comprehensive image XML sitemaps. We will also track the results of our efforts in Google Search Console. For videos, we will also add video markup to help Google learn more about what our videos are about and potentially help us achieve video rich snippets. 8. Get active in social media. We email our subscribers as we publish relevant content on the site. We’ll also encourage our subscribers to connect with us on our social channels. We’ll repost the best rental pictures to visual networks such as Instagram and Pinterest. Each like from a follower can bring more views and more followers, which can quickly build a strong distribution channel for new content. 9. Power up with influencers. Now that we have a credible site, with many tiny house listings, beautiful pictures, and positive reviews, we can focus on public relations. We can reach out to journalists and influencers that cover the backpacking industry and tiny house movement. A potential strategy would be to invite them to stay at one or more of our properties to report on their experience and share it with their followers. 10. Confirm indexing. Finally, we should take an hour or two each week to review Google Search Console, to confirm our growing content is getting indexed and clicked on at a decent rate. 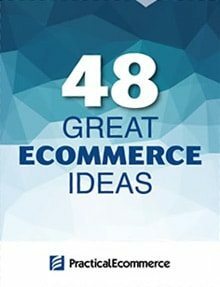 Merchants often ask me for options to learn search engine optimization. There are many helpful blogs, to be sure. But, in my experience, the resources provided directly by Google are the best place to start. Here are my favorites. Google’s SEO Starter Guide. Google’s official SEO guide. Google’s SEO Report Card (PDF). Google performed an SEO audit on its own properties. Google Search Console Training. This is comprehensive training on SEO and Search Console. Google Webmaster Tools YouTube Channel. Google’s John Mueller responds to questions. 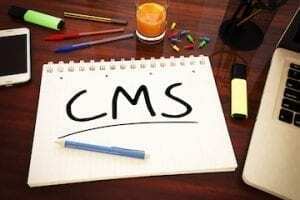 Google Webmaster Central Blog. 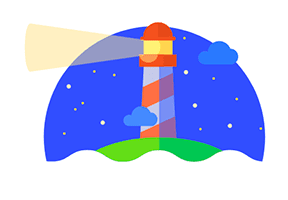 Google publishes updates related to search. Google Search for Developers. 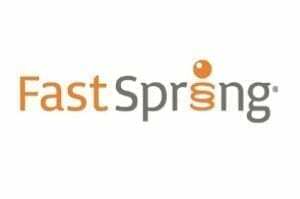 Detailed guidance on building search engine friendly sites.